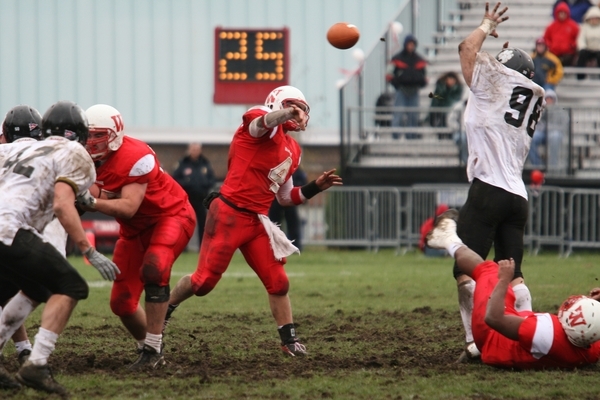 Two star players: Wabash quarterback Dustin Huff and DePauw defensive end Dustin Hertel (98). Huff threw for 304 yards; Hertel led DePauw in tackles and sacked Huff twice. Photo by Jim Amidon.